81 Entertainment is nothing short of a team. It’s the talent that we collaborate with that brings our projects to life. We are completely invested in showcasing professionals both experienced and up and coming. Each project is crewed to deliver the highest quality product for the client, and because every video is unique in its own way, we incorporate the most appropriate talent for the job. 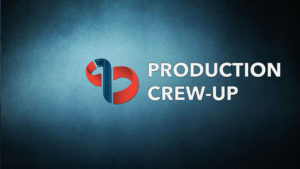 We consistently strive to discover talent in cinematography, production, editing and beyond and invite them to join our “Crew Up”page on Facebook so they can stay up to date with up and coming shoots. Collaborating this way guarantees that not only do our clients get the best product possible but also that professionals from different areas of the industry get to network and work with new people. Click to find our “81 Crew Up” page. Start a Project with us now!